1) First apply 3 coats OPI’s Do You Think I’m Tex-y? or any other jelly or sorbet finish polish on all nails. 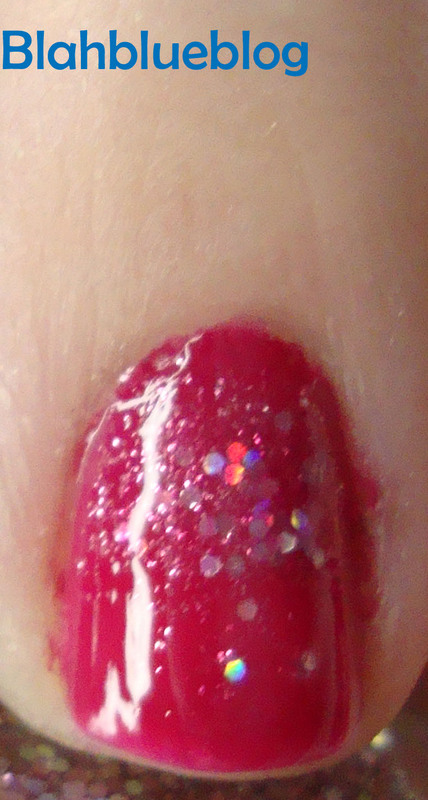 2) I applied Seche Vite and wore my manicure for a full day before adding the glitter. You can do this manicure in one sitting, but just make sure the polish is completely dry. 3) You can either apply the glitter polish over the whole nail or you can use a makeup sponge to create a glitter gradient effect like I did. I used a makeup sponge to lightly sponge the glitter polish (I used OPI’s Teenage Dream) starting at the base of my nail and worked toward the tips. 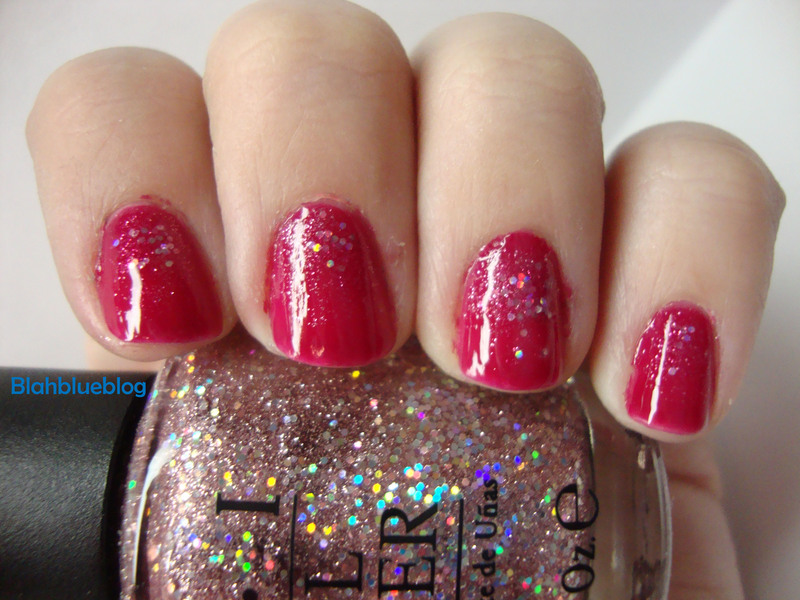 4) Let the glitter polish completely dry, then apply an additional coat of your jelly polish evenly over all nails. This leaves you with the glitter sandwich effect. You can simply leave the manicure as is or apply your favorite top coat. I love how the jelly polish tones down the wild and crazy pink sparkle from Teenage Dream but still allows the color shifting to take place on the holographic multicolored reflective glitters.